Planning a wedding is such a daunting task, and designing your dream florals is such an important element to making that vision come alive! 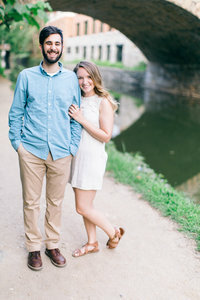 After working on several projects with Brooke from Stem & Thistle, I knew she’d be a wonderful source of advice for couples planning this element of their wedding! Keep scrolling to get to know her a bit and hear more about how to start this process! How did you begin your floral company? small studio/shop in our quaint town of Hingham, and I always felt so good to walking in – a feeling of being home and of great excitement. The idea of creating a boutique floral studio entered my mind, but the timing wasn’t right. We moved to Virginia, our kids were older and all in school, and the time felt right. I began the process of building Stem and Thistle. Early on I was invited to a networking group where I met a thoughtful man who offered to connect me with a new event planning company. The company was IDA ROSE EVENTS. I was fortunate to do a bit of work with IDA ROSE which really helped Stem and Thistle get started. I love designing and experimenting with different flowers, flower combinations, and materials. The creativity feels energizing and even therapeutic; but I feel most excited when I have the opportunity to collaborate with event planners, photographers, creatives, business owners, and clients. The process of discussing our ideas, seeing them evolve and come together, and overcoming challenges to create a beautiful product is truly rewarding. Watching clients see a finished room for the first time and seeing their eyes swell with happy tears is awesome. What is your general process for weddings? If a couple hires an event planner, their planner contacts me with detailed information about the clients and their wedding day. We work together on the design and proposal. I connect with the clients either by phone, email, and/or meet for coffee to get to know them. If a couple does not hire a planner, we begin with a phone consultation to gather details, view inspiration photos, and get to know each other. Once everything is finalized, planner or no planner, I create a work list, purchase materials, submit floral orders, form my team, and count down to their wedding day. What trends are you noticing for this upcoming year? What I am seeing with my clients is an effort to personalize their weddings. A nod to their favorite travel destination, details that celebrate their hometown or where they met. Also, I see couples asking for a non-fussy aesthetic – more organic and wild. What piece of advice do you have for couples? Go with the floral aesthetic that you love and what makes you happy – not with what is trending at the moment unless that is truly what you love. Find a floral designer whose work reflects your style and the vision you wish to achieve on your wedding day. Once you find the right florist . . . Trust your florist – she/he will work tirelessly (and go to great lengths) to ensure that your day is gorgeous. I have caused blown fuses, only to be fixed by an electrician, while forcing flowering branches to open – they opened and were magical. I nursed a nasty case of poison ivy on my arms, torso and legs with steroids for two months after forging the perfect foliage – the foliage was indeed perfect! Yes, we will go to great lengths to get the job done! What do you wish couple knew about florals? Floristry is an art. It is an appreciation of not only the beauty of flowers and foliage, but also of every single second that is put into our designs. We are intentional about our work – it’s from our hearts. Every bloom, each piece of foliage, and the vessels in which arrangements are created, are meticulously chosen. Each element of an arrangement has a purpose and a place. It’s similar a painter in her studio – you paint, step back to view and evaluate, change a few elements, step back again, evaluate and paint – it is a creative process and a craft. The end result is a stunning piece of art. I believe true floral designers want nothing more than to share our love for what we do by creating the most gorgeous designs for our clients.